Li Juduan was from Xinhui in Guangdong province. He studied Western painting while in Peking as a law student, and on his return to Guangzhou practised as a lawyer. He was a traditional ink painter, and calligrapher, and became head of the art college in Guangzhou. At the end of the Sino-Japanese War he moved to Hong Kong, where he and Lui Shou-kwan (q.v.) later became acquainted. The above paintings are signed Li Yanshan but the inscriptions are all signed Kang Hou or Feng Kang Hou (b. 1899, Guangdong) and most bear his seal. Luofo is in the north of Li Juduan's native province of Guangdong, close to the border with Jiangxi province, and it is possible that the allusion is to this group of twelve fan paintings. All twelve bear the same studio seal. Li Yanshan was a traditional calligrapher and ink painter from Guangdong province. He was head of the Guangzhou Municipal College of Fine Arts in 1930s, where he invited Lingnan artists of different schools to teach, including Zhao Shao’ang (1905-1998), Deng Fen (1894-1964) and Huang Junbi (1898-1991). Li moved to Hong Kong in the late 1930s. The six fan paintings displayed here are from a twelve-page album, each page of which depicts an imaginative scenic spot in the Luofu Mountains in eastern Guangdong. Titles and inscriptions on these fan paintings are by Feng Kanghou (1901-1983), who was also from Guangdong and a well-established calligrapher. The Luofu Mountains are a common subject in Lingnan artists’ works. An earlier master Su Liupeng (1796-1862) spent much time in Luofu in the late 19th century. 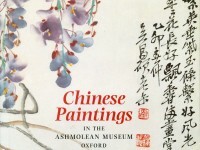 Some of his works are displayed in the exhibition [EA2000.150.a, EA2000.150.e, and EA2007.207]. Purchased with the assistance of the Lady Cash Bequest, 1965.